Rikos D, Dardiotis E, Tsivgoulis G, Zintzaras E, Hadjigeorgiou GM.Reporting quality of randomized-controlled trials in multiple sclerosis from 2000 to 2015, based on CONSORT statement. 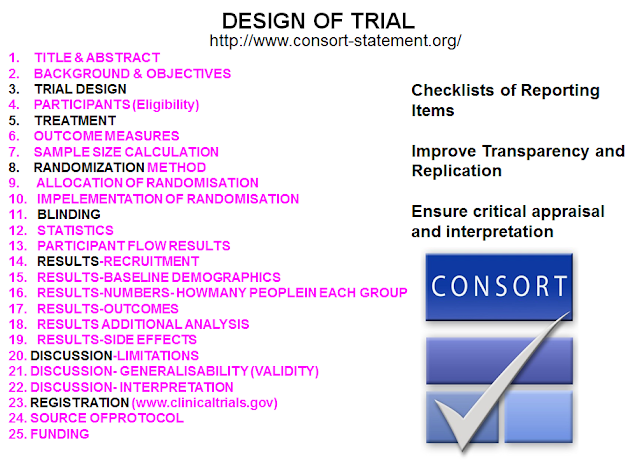 Randomized controlled trials (RCTs) are the best tool to evaluate the effectiveness of clinical interventions. 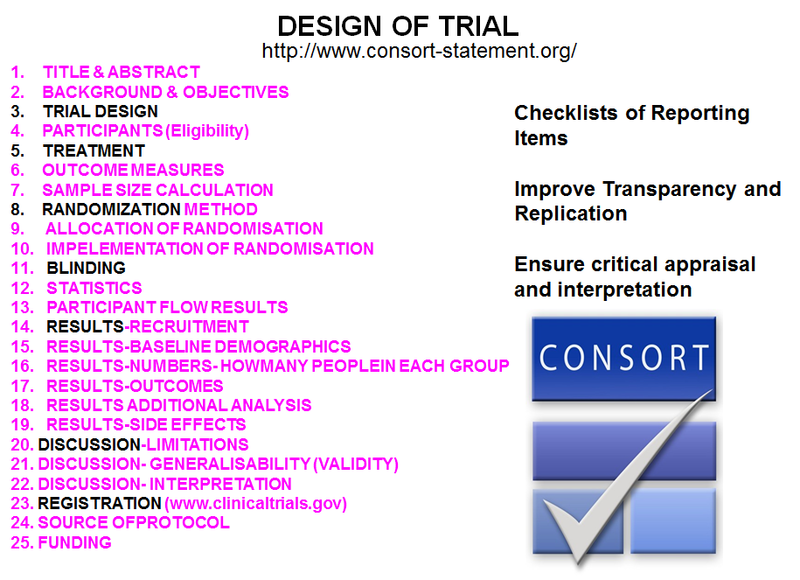 The CONSORT (Consolidated Standards of Reporting Trials) statement is an evidence-based approach to improve the quality of RCTs reporting. OBJECTIVE:To evaluate the reporting quality of published RCTs concerning multiple sclerosis from 2000 to 2015 according to a checklist based on the CONSORT statement. METHODS:Electronic databases were searched for English-language RCTs involving patients with multiple sclerosis (MS). 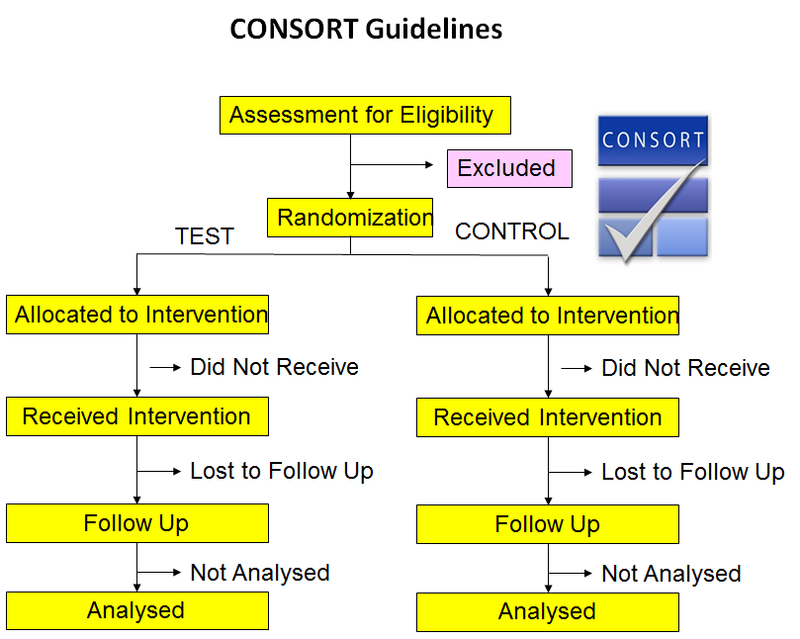 Trials were considered eligible when participants were randomly assigned to at least two medicinal treatment arms and included patients with MS. Quality of reporting was assessed using a 39-item questionnaire based on the CONSORT checklist. Articles were grouped in three 5-year periods and comparisons were made using descriptive statistics. RESULTS AND CONCLUSION:The search identified 102 eligible articles for analysis. 20 of the 38 items of the checklist (52.6%) were addressed in 75% or more of the studies. Reporting of more than 75% of CONSORT items (>75% CONSORT compliance) was increased during the three five-year time periods from 2000 to 2015 (p<0.05). CONCLUSIONS:Quality of reporting in RCTs focusing on multiple sclerosis is showing improvement over time, but still remains unsatisfactory. 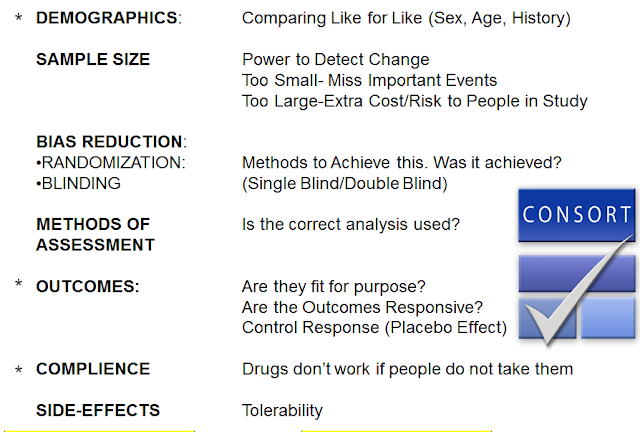 Further improvement of reporting is necessary to assess the validity of clinical research. People are reporting more stuff and it is a marker of quality to indicate if the study was rigourous.